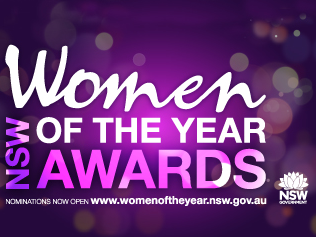 Minister for Women, Prue Goward has invited me to be on the panel of judges for NSW woman of the year awards this year. She had her own magazine, titled Ita. Ita is still the youngest person to ever be appointed editor of Women's Weekly, which was during her reign per capita, the largest-selling magazine in the world. Ita was appointed Editor-in-Chief of the Daily Telegraph and Sunday Telegraph in 1981, making her the first female editor of a major metropolitan newspaper in Australia. She has been awarded an OBE, OAM and the Centenary Medal. Trailblazers like Ita broke ground for women in business today in innumerable ways from choosing to go back to work after getting married (yes, after being married, not after having children) to providing Australian women with a frank source of information on female sexuality through Cleo magazine. Women hold only 8.4% of board positions and 8% of Executive Key Management Personnel positions. There are just six female CEOs and five female chairs in the top 200 Australian companies. Even more alarming is that only 4.1% of line roles are occupied by women, those which are largely considered to be the pipeline to the Executive Key Management Personnel and CEO roles. There has been no increase in these figures since 2008. The proportion of companies with no women board directors has increased from 51% in 2008 to 54% in 2010. The proportion of companies with no women Executive Key Management Personnel has declined slightly to 61.9% from 65.1% in 2008. Compared with New Zealand, UK, Canada, US and South Africa, Australia has the lowest percentages of women in the most senior positions. (Note that this report is only carried out every 2 years, so we'll see the next one this year!). Some of the opportunities to make change come from recognising differences. One of the differences we've discovered is that women the world over are not great at owning their achievements, especially in the workplace. Women will say "I was lucky" or "I had a great team". An award like this is a chance to help make a change in this area by publicly congratulating a woman on her journey and achievements to date. Hi Suey, quite a few new startups are entering the space. As long as people aren't taking code or wording directly from our website then we're fine with it, more people in the space helps grow the industry, it's just up to us to execute well so we remain the market leader!